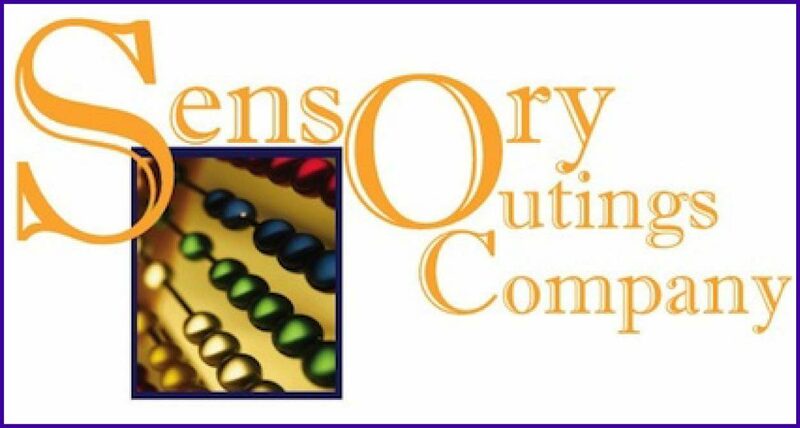 All Sensory Outings Company professionals have 3+ years of experience, and are trained by the highly regarded Alzheimer’s Association of Denver and through Teepa Snow’s seminars and videos. Click here to view Teepa Snow’s videos. 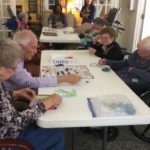 Our professionals know that Alzheimer’s disease effects all five senses that include seeing or watching, listening, touching and feeling, tasting and smelling. 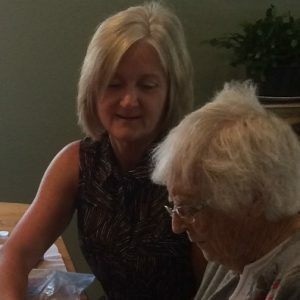 According to the Alzheimer’s Association, listening is the least effected. Sight is the first to be affected by the disease. The peripheral vision continues to narrow the field of view and spatial awareness becomes lost (Teepa Snow, 2016). Other senses such as touching and tasting will progressively become enhanced, and smells will progressively become odorless. 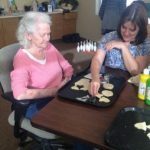 These are key factors that play into how Sensory Outings professionals interact with people at various stages of Alzheimer’s and structure participation in the activities. 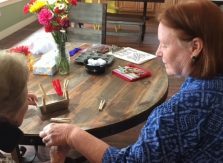 For example, an early-stage Alzheimer’s participant would know what to do with a paintbrush and watercolors, however, a mid-stage Alzheimer’s participant may know what a paintbrush is, but not see the paper to use it on, or possibly what do with it. 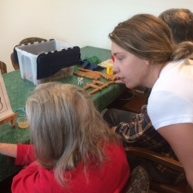 We will focus on those factors and suggest ways to work with mid-stage and late-stage Alzheimer’s participants during our various activities.